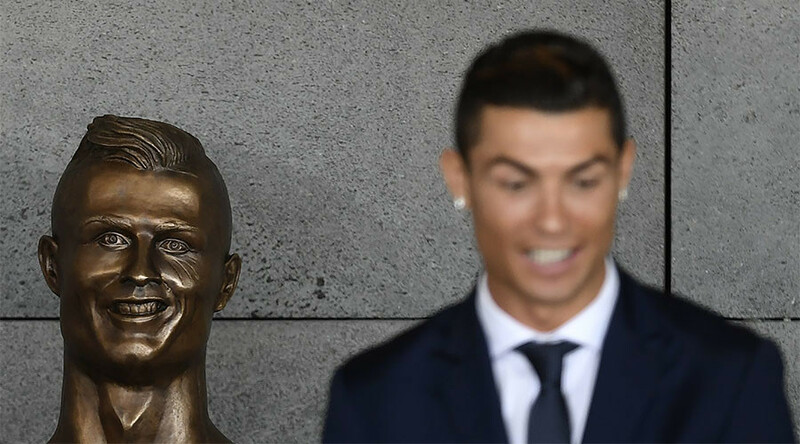 Following the wave of online criticism towards the bust of Portuguese football star Cristiano Ronaldo which has been installed in the striker’s native Madeira Islands Airport, the sculptor behind the statue has been unmasked. Amateur Portuguese sculptor Emanuel Santos said that it took him just 15 days to create the statue, as Daily Mail reports. Talking to a Portuguese radio station, he also said the reaction among his friends was rather positive. “No negative comments have reached me yet. I've got friends on Facebook and the feedback has been positive. Photos of the bust installed in the airport, which has also been named after the football star, sparked a wave of ridicule among social media users on Wednesday. Speaking to Brazilian outlet Globo, former airport cleaner Santos stressed that it’s not possible to be always liked by everyone.